ATLANTA • At least three people died and thousands of homes were left without power in the Carolinas and Virginia early yesterday after a storm dumped up to 60cm of snow in parts of the south-eastern United States. A motorist also died in south-western North Carolina on Sunday when a tree fell on the vehicle, police said. More than 70,000 customers in the region remained without electricity as of 5am local time yesterday, down from a high of 220,000 on Monday, PowerOutage.US reported. Weather warnings remained in effect. "The danger is black ice, ice that's difficult to see on roads, caused by the refreezing of snow melt," said Mr David Roth, a forecaster with the National Weather Service's Weather Prediction Centre in College Park, Maryland. Because of icy roads, scores of schools cancelled or delayed classes yesterday across northern Georgia, North Carolina and Virginia. Amount of snow dropped in Whitetop, Virginia, in the Appalachian Mountains. Customers in the region still without electricity yesterday. Many government offices also delayed opening yesterday for non-essential personnel. Whitetop got 60cm of snow. Greensboro, North Carolina, had 41cm and Durham, North Carolina, 36cm. Temperatures were expected to rise above freezing by late morning, but would drop back below freezing overnight through tomorrow, Mr Roth said. By Friday, temperatures should reach 10 deg C in North Carolina, east of the mountains, where there is a chance of rain. No widespread flight delays were reported early yesterday by the major airports in the south-east, according to the flight-tracking website FlightAware. The storm, at its height, prompted the cancellation of one in four flights into and out of Charlotte Douglas International Airport, the sixth busiest in the country, and other airports across the region, FlightAware said. Top officials are under pressure to iron out differences and agree on a deal at the talks in Poland that will step up the fight against climate change. Civil society groups and protesters are angry at what they say is lack of progress by many nations in making deep cuts to greenhouse gas emissions. 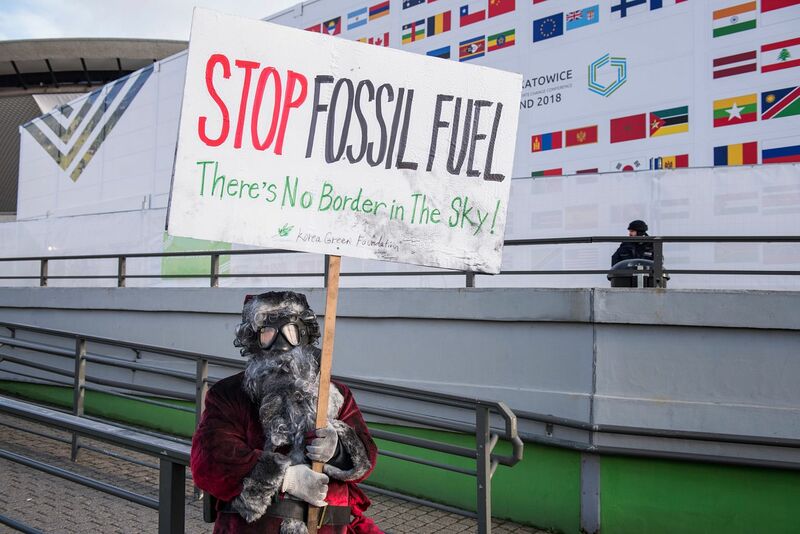 Among them was Mr Yul Choi, a South Korean activist with the Korea Green Foundation who was protesting in a stained Santa costume outside the talks venue in Katowice. Singapore's Minister for the Environment and Water Resources Masagos Zulkifli was at the talks and spoke at a panel discussion on carbon pricing yesterday.